Sounds to me like everyone that changes their rims or adds a spoiler or two should debadge their vehicle. No longer a Mercedes as they didn't come from the factory like that. Ahhh... Poser logic. Von, you make complete sense. OK, that made me laugh. You were trying to make us laugh, right? I'm glad that it made you guys laugh. However it doesn't change a thing as most of the people in this WORLD forum are clueless as to what happens outside of USA. I did my reserch before buying this car, thus I know what the badges mean here in Indonesia. And that is all that counts. The bullet proof S500 has a V8. The Bullet proof S600 have a V12. Neither are AMG. I can not imagine a world where V12=Bullet proof, and to me.. You do not want to advertise a bullet proof car. You want to blend in. So adding the emplems seems counter productive. But don't worry about what anyone here says or thinks. If you like your car, that is all that matters. Did I miss any of them, I am sorry I didnt mention all, What else? What the heck?! Quad exhaust and AMG bumper?! Well, that's just interesting. I understand that in Japan, AMG means that it is a Hybrid. In South Korea, AMG means that it doesn't run on gasoline, but kimchi. The most impressive is that in Russia, AMG means that the car is capable of total invisibility. 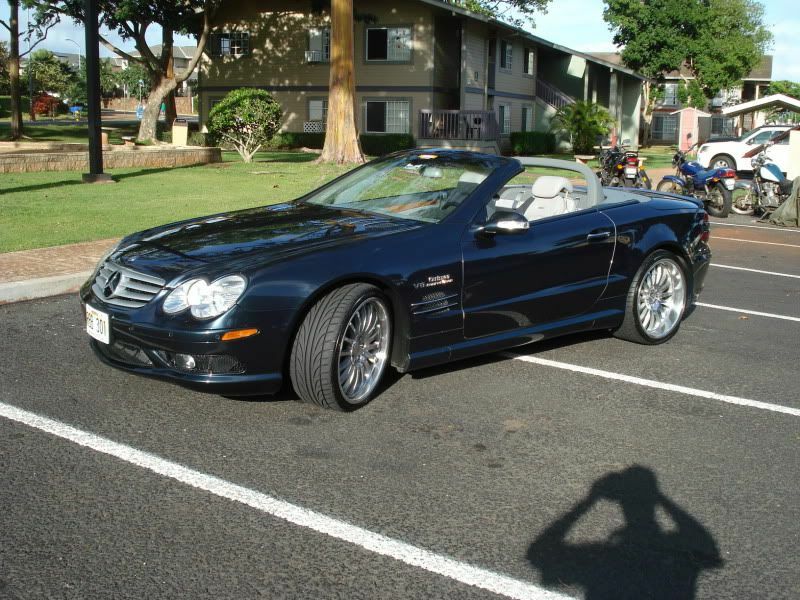 While on the entire planet on which I live, AMG on a non-AMG car, even if it is bulletproof, is still a poser. We're just playing with you. Let's face it, if you come to an AMG forum with a car that clearly isn't an AMG, then the owners of the real thing are going to give you some grief. Way of the world, my friend. 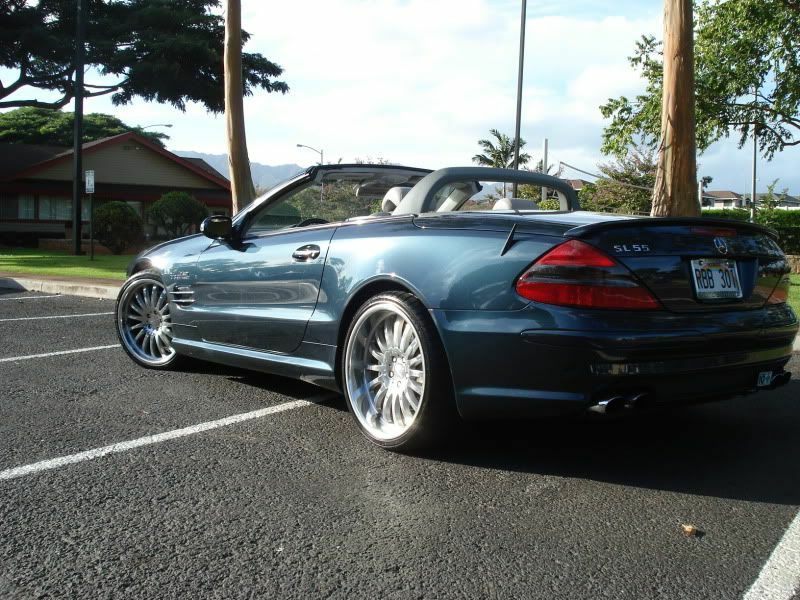 Don't most AMG models these days have quad-exhaust tips compared to the single or dual for non-AMG models? I'm at my local independent picking up my SL55 today after he replaced the PSE pump. This S class is sitting there with crooked 55 and AMG badging. 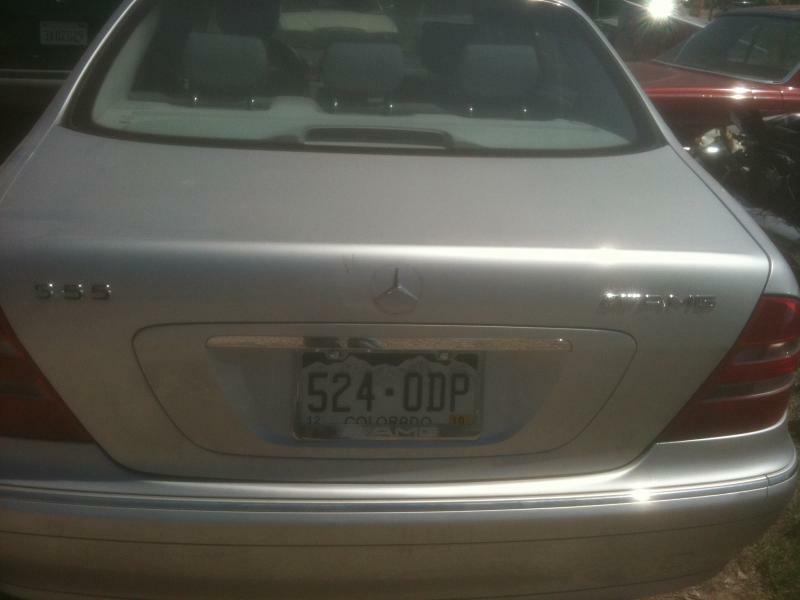 I start laughing out loud and say man I would love to meet that owner of that "S55". Then this guy stands up and says what can I do for you. That's my AMG outside. He said it so matter factly that I laughed out loud again. he asked me what was so funny and I said that is not an AMG. The tail pipes are small the badging is crooked. he then tells me that I wouldn't know an AMG if I saw one so he wasn't going to waste his time. At this time they are pulling my car around and I say you're probably right. I snap I couple pix of the back of his car jump in mine, drop the top a laugh for an hour. This is the funniest thing that has happened to me in a long time. Too bad these posers are not really hanging out with you in Indonesia. I'm not talking about tips. I'm referring to a single exhaust on the left or ride side of the rear bumper versus dual on the bumper. The BMW 5 series is set up that way. Regular 5 series is single exhaust. M5 with the dual. A real sorry case yesterday on I-94 in Chicago. A CL550 with not just AMG badge in right corner on the boot but a properly located CL63 on the left and 63 badges on both fenders. Apparently he forgot the exhaust and left it at stock with just two pipes. Well the owner of this fake AMG said to me did you get a good photo because he caught me taking it. And I said yes I got a good photo of your fake AMG . He said your sister like it and I laughed at him and gave him the thumbs down as I blasted by him in my supercharged escalade lol people hate the truth. Such a lame sore loser, have to resort to insult instead. 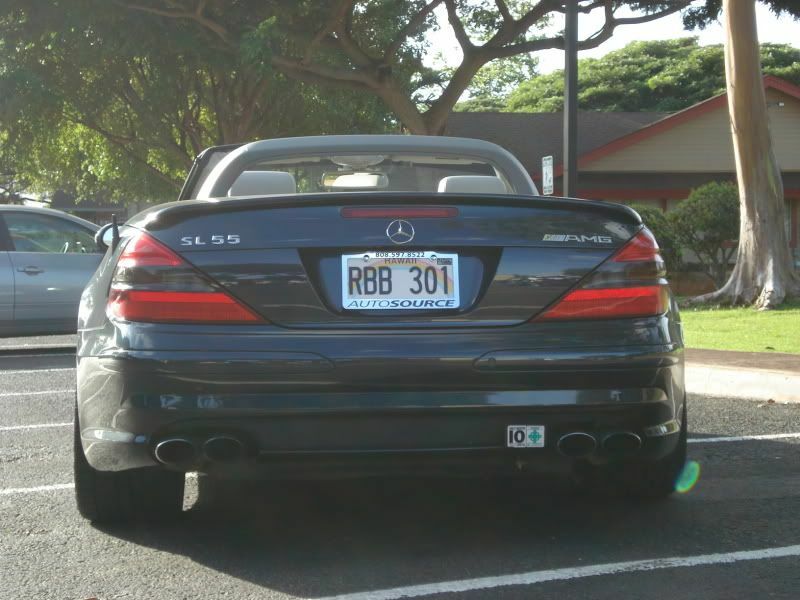 I noticed there were lots of posers from Hawaii, so I thought I would offer some proof that there are real AMG's there too. Well, at least there were until April of this year when I shipped mine back to the mainland. I did run into a guy with a sweet SL65 when I took mine to get dynoed. I also pulled the Carlsson fender emblems off the car shortly after buying it, since the car only has Carlsson wheels, exhaust and lighted door sills. Yes there are. I try and photo the real ones as well. Of course, there's no point in putting them here online so I post them to my facebook instead. Hate to tell you, but a few of your pictures are mislabeled. The GT3 is a 997 not 996, one of the ferraris appears to be a 430 not 360 and one of the SL63's looks to be a 55 or 65. Another c-class badged as a CLK, which is on the WRONG side! Last edited by benz_addict; 08-29-2010 at 03:52 AM. What DO the fake AMG badges mean in Indonesia, that they don't mean here in the USA? A BMW 330 is not an M3, whether it has an M badge on it or not. How is it any different? 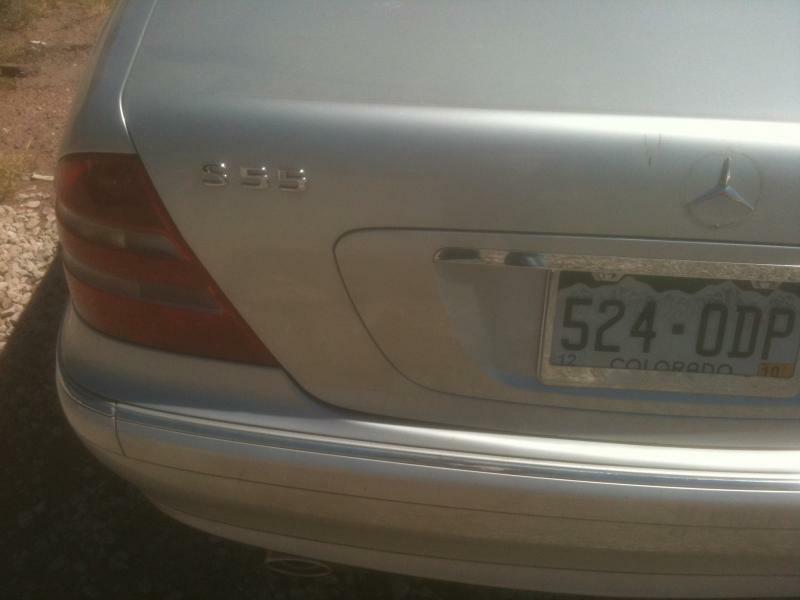 Your S500 is not an AMG, period. Please explain. Oh, I wouldn't feed the troll anymore. He's either going to disappear or keep insisting that Mercedes badged his car as an AMG because it is supposedly bulletproof. Let's all just enjoy the laugh quietly. Dude, don't you know anything? Everything bulletproof is an AMG. 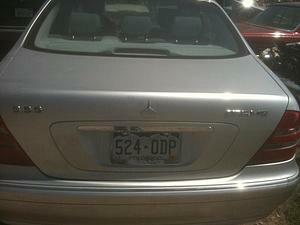 I saw the presidential limo the other day, and yup, right there on the fender "AMG".